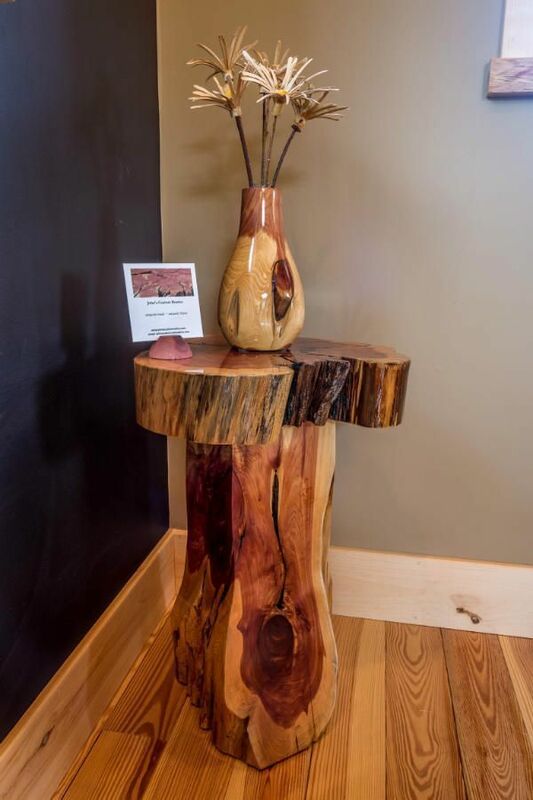 “This unique and versatile Red Cedar piece is something that I had imagined for a while. My vision became real as I milled the log and began to hand chisel all the connecting joints. Red Cedar is a pleasure to work with and has a unique grain that produces interesting and beautiful creations. The log used for this piece was part of a trailer load of Red Cedar that was given to me as payment by the homeowner in Kingston, Ma for removing them from his property. This table is one three pieces on display at Mountain Real Estate Company.